1. "Ha'Haklait” and The National Service For Udder Health and Milk QualityP.O.B 3553 Caesaria 38900 - Israel. 3. Israel Cattle Breeder's Association (ICBA) - P.O.B 3553 Caesarea 38900 Israel. 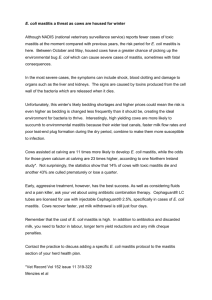 of clinical mastitis in the same cow, during the same lactation. of suspected milk followed by imposition of heavy penalties. cost of heifer replacement, etc. USA and France (1,2) and 120 £ in England (3). cows and reduces the risk of infecting new members of the herd (7,8,9). 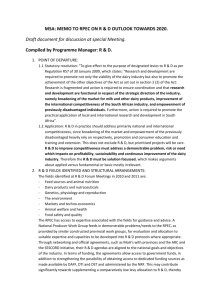 level with a direct impact on the dairy farmer's income (10). 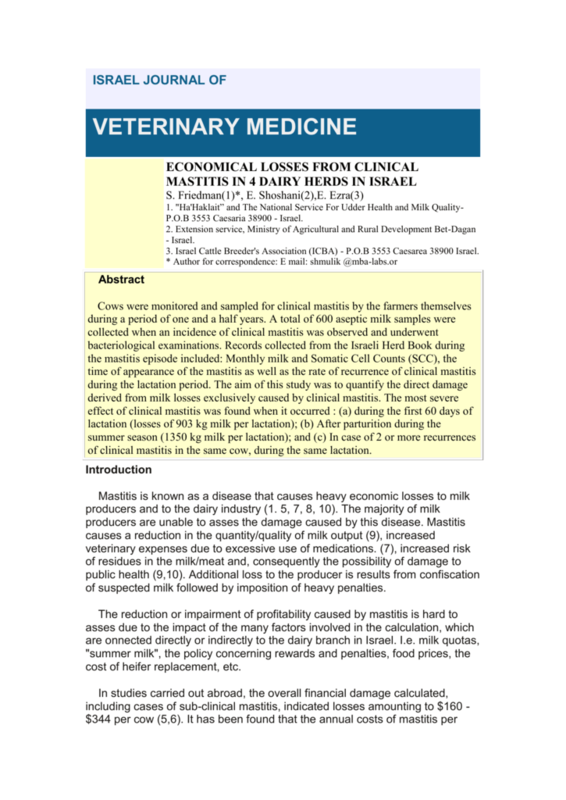 loss for one case of clinical mastitis was about $40 (4) . Israel) containing 7.5% sheep blood and incubated for 48 h at 370C. (12). 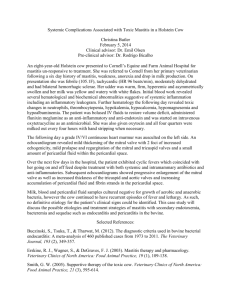 of clinical mastitis during the lactation period. phase of lactation - a loss of 903 kg milk per lactation (Table 2). 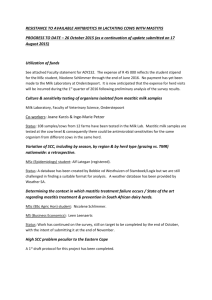 Sn= number of samples, (N= number of cows). Kg for the entire period of lactation (305 days). 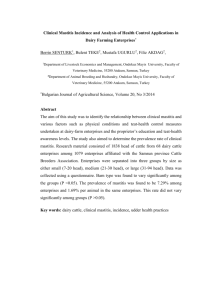 the "recurrent cows": 13% had mastitis three or more times during lactation. * a period of 40 days prior to bacteriologic result and 20 days after = a total of 60 days. interaction between calving season and stage of lactation. fines, death of cows, and the cost of replacing heifers. 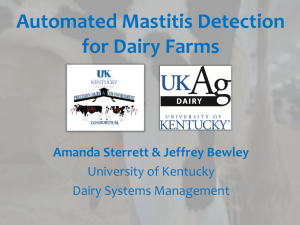 routine will minimize the damage caused by clinical mastitis. the European association for animal production Vienna (Austria),1977.
herds. J. AM. Vet. Med. Assoc. Feb 15 202:4 540-8. 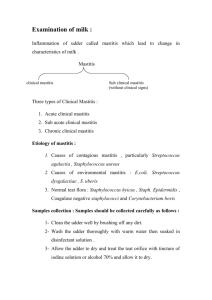 1993.
clinical mastitis in U.S.A dairy cows. N.M.C. annual meeting proceedings pg. mastitis. Vet Res. Nov. 13. 133: 20 494-498. 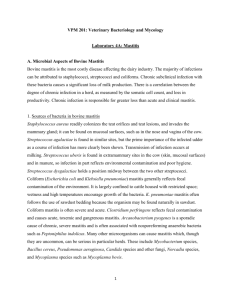 1993.
mastitis in the U.S. J. 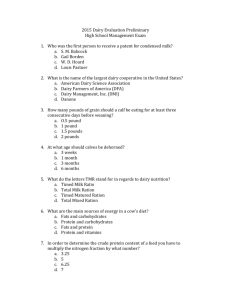 Dairy SCI. Jan 62:1 119-27. 1979.
the U.K. J. Dairy Res. Nov. 59: 4, 4449-4460. 1992. 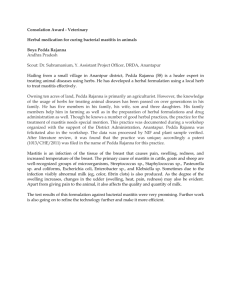 Microbiological Procedures for the Diagnosis of Bovine Mastitis, 2nd edn. National Mastitis Council, Arlington, VA. pp. 10-15. (1981). Inc. 2820 Walton Commons West, Madison, WI (1999). Bros.Co.1880 Country Farm Drive Naperville, Illinois 60563,USA. (1992). Proceeding 2 s4 Tel Aviv, 69-73 (1995).